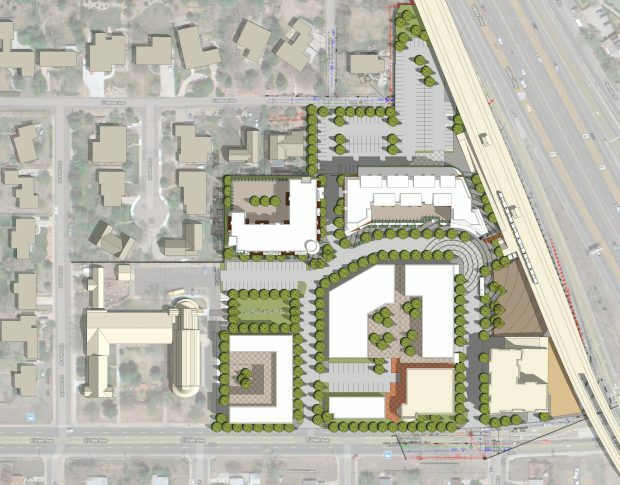 The Yale TOD Master Plan, Yale Place, presents a unique suburban infill site where a walkable, mixed-use neighborhood adjacent to the Yale Station light rail stop will be created. 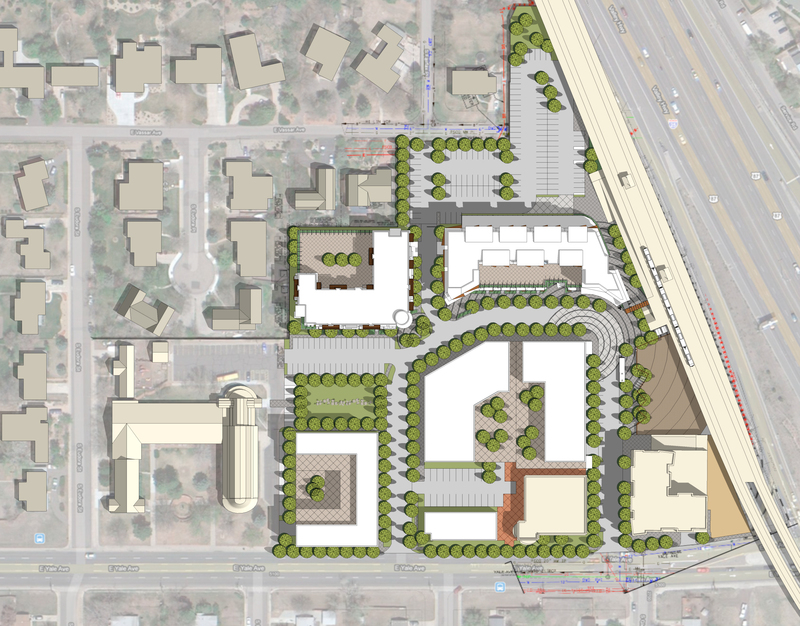 The project area consists of the 10 acres west of highway I-25 and north of Yale Avenue. With proximity to both Downtown Denver and the Denver Tech Center, Yale Place is ideally situated along the I-25 corridor. 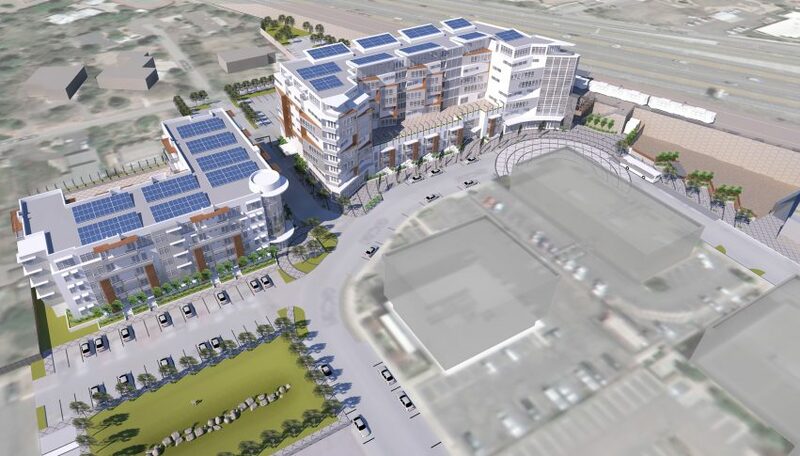 The Plan will provide a variety of housing options, both market rate and low income in a mix of townhouses, one, two and three bedroom units for potential residents. 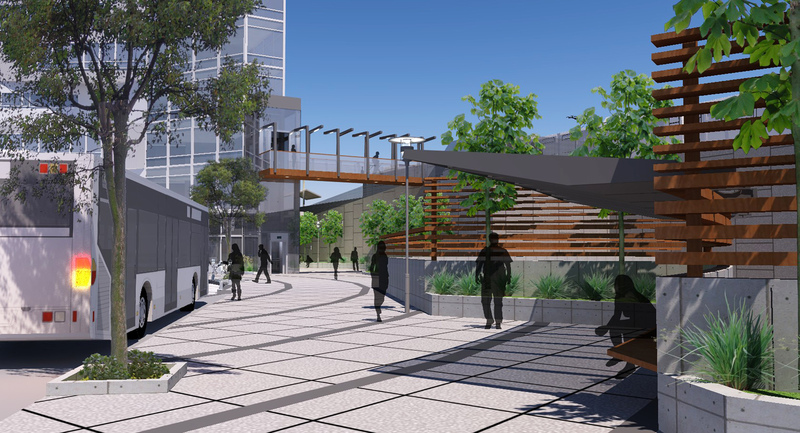 The residents will be able to fully take advantage of both the light rail and bus system that services the sight, making it an ideal urban/suburban living environment. 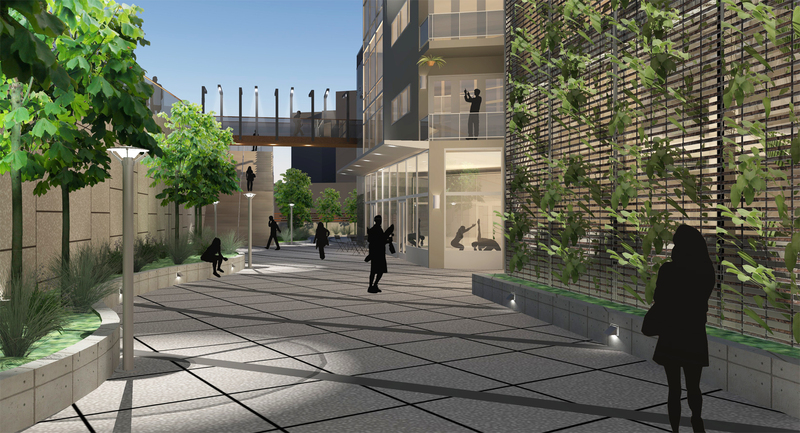 The Plan introduces a small pocket park on the site where currently there is not any green space. By partnering with both RTD and the existing landowners, property lines have become flexible to allow for the most ideal development. This also allows for individual buildings and spaces to share utilities and amenities, making the project more economical and sustainable. Yale Place has the potential to achieve a LEED Platinum Certification and serves as a prime example of sustainable, green suburban infill development.